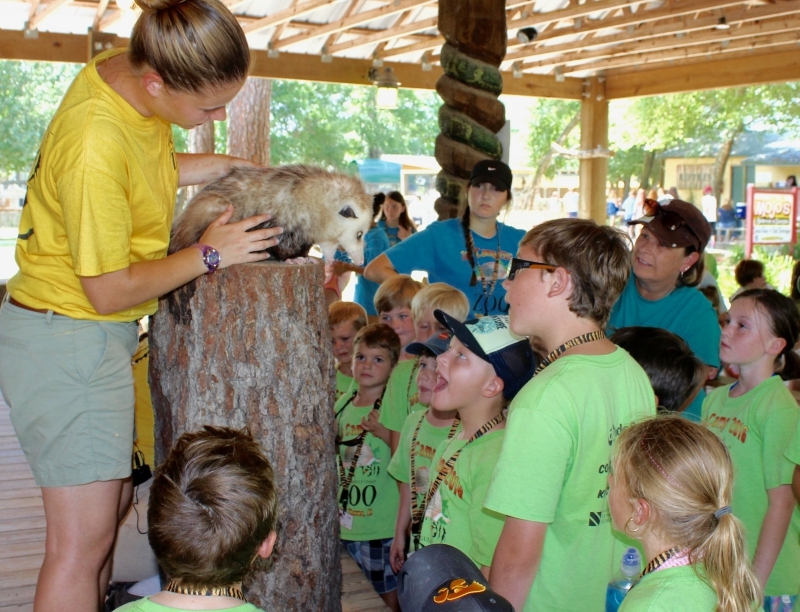 It’s Zoo Camp at the Alabama Gulf Coast Zoo! 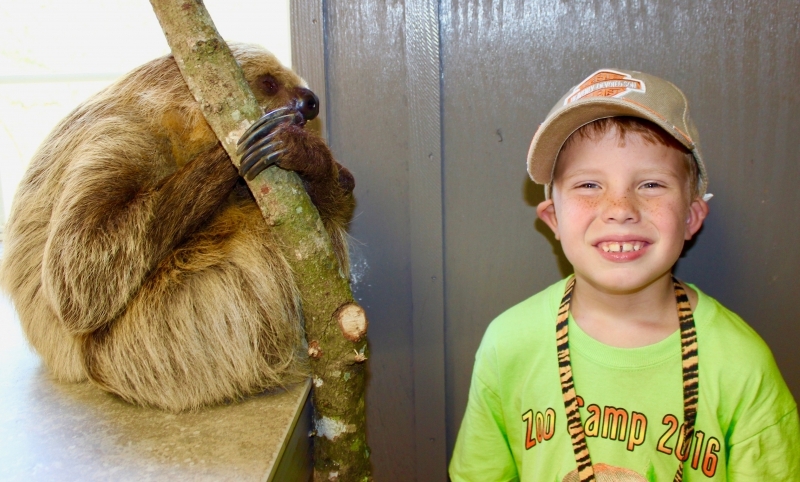 For children, ages 5-11, our annual Zoo Camp takes place the last full week in June, Monday-Friday from 9:00 am-3:00pm. 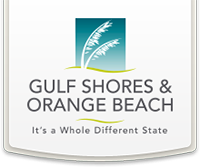 Registration opens every March. All details, including pricing and forms, are made available online or can be picked up at the zoo gift shop. 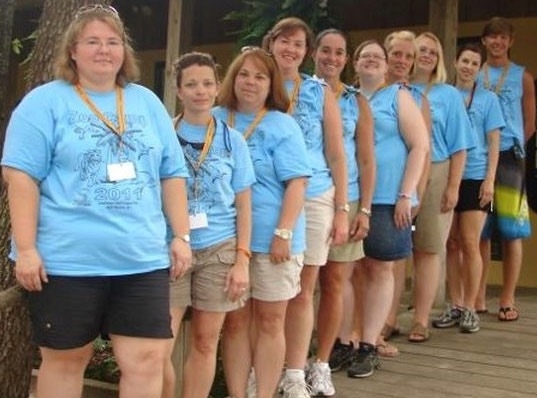 Every season, we round up the best group of licensed teachers and volunteer camp counselors to help our intrepid young campers explore and learn about animal life here at the Zoo, in a completely safe, supervised environment. They also get to meet our zookeepers who rock the house when it comes to animal education. Our zookeeper stage shows, with their awesome animal sidekicks, make learning about wildlife and conservation of our natural world, fantastically fun! And for parents, seeing sparks of inspiration and imagination coming from your own zoo camper after just one week, well, that’s pretty fantastic too. Attention Teachers & Teen Volunteers! 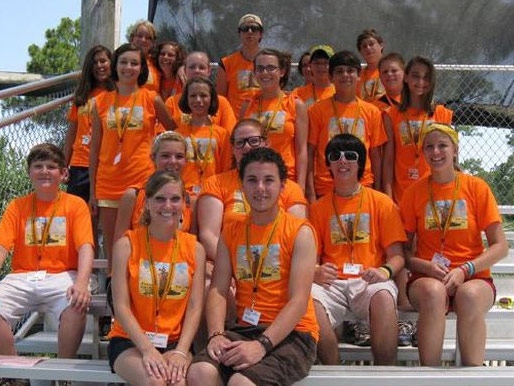 Are you interested in becoming one of our Zoo Camp educators? Hosted by the Alabama Gulf Coast Zoo since 1999, Zoo Camp has been a fun and educational program for children all over the country, After the 2006 debut of the Animal Planet TV series The Little Zoo That Could, our camp has grown every year and we need more great teachers to help facilitate this week-long program held the last full week of June every year. We are looking for teens who love kids and animals to assist our team of dedicated teachers during the week of Zoo Camp. Becoming a volunteer counselor is not only a fun, rewarding experience, but a great way to earn service hours for various organizations and education scholarships. Please contact us for more details, but don’t wait until the last minute. 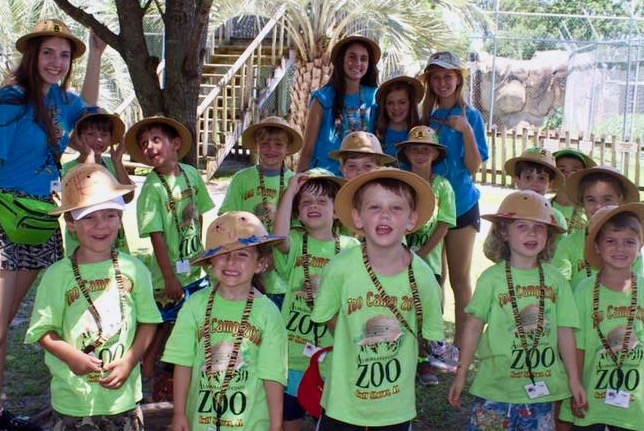 We are proud that Zoo Camp is a collaborative community effort that allows us to offer such a rewarding, educational, and fun experience for children. We thank the hundreds of parents over the years who have supported this program, and still continue to entrust us with their eager, up-and-coming campers every season. We also hope that new families will be inspired to explore this educational zoo adventure.